Interesting news concerning the Narinshire distillery. “Glasgow, Scotland, 25th August 2015 – John Dewar & Sons Ltd. has unveiled a new range of proprietary bottlings from Royal Brackla distillery, one of Scotland’s oldest and most venerable distilleries. The new expressions of this regal single malt, ROYAL BRACKLA® 12 year-old, ROYAL BRACKLA® 16 year-old and ROYAL BRACKLA® 21 year-old will be available initially in 10 markets from September 2015; a regal opportunity to savour whisky fit for a King” More here on the Bacardi limited website. Nairn Christmas tree farm put on the market – according to the BBC more here. Publication of adopted Inner Moray Firth Local Development Plan. It’s still a mouthful to say and to this observer still looks like the kind of stuff that the planners want to see happen to Nairn rather that what Nairn residents would like to see sustainably come to pass. 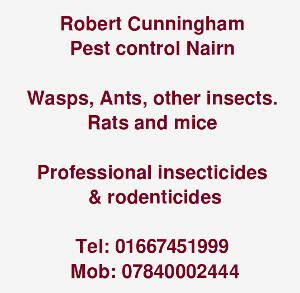 You can have a look for yourself here by downloading a copy from this Highland Council Page. 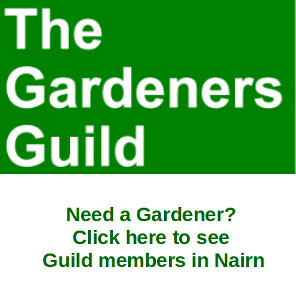 If you do download a copy the information about how Nairn might be allowed to develop by the planners begins on page 63. Sandown and Delnies are there and the contentious ones like the Showfield, South Kingsteps and South Nairn are all still in there too. "Ifs" and "buts", of course, sprinkled about. It will be interesting to see if the ifs and buts augment a little in the favour of community discontent as we move into a period where Nairn will become a test bed for an experiment in local democracy. More on that this weekend if time permits but if serious students of these matters have a few spare minutes they can head to this Highland Council webcast (once you get there you need to scroll down to item 14b in the timeline panel and then you can see what Liz and Michael had to say when they had a big blether about local democracy in Glenurquhart Road yesterday). Planning peace in our time or will the protesters get the banners and T-shirts out again over the coming years? “I was awarded the Highland Third Sector Award 2015 for Older People's Champion. 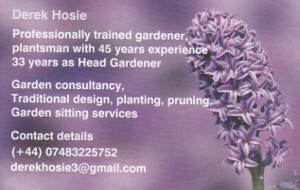 I didn't know I'd been put forward for it,so a big surprise when I was told on my 70th birthday. We do have a lot of elderly and disabled coming to the club but we also have people in their 50s and 60s we have no membership fees and we're open to al.” Latest programme for September can be seen in the side bar of the Gurn. A group of local youngsters are fund-raising to raise the cash to complete a part of their Duke of Edinburgh award by doing charity work in Belize for a month next year. You can follow their fund-raising efforts on this facebook page here. 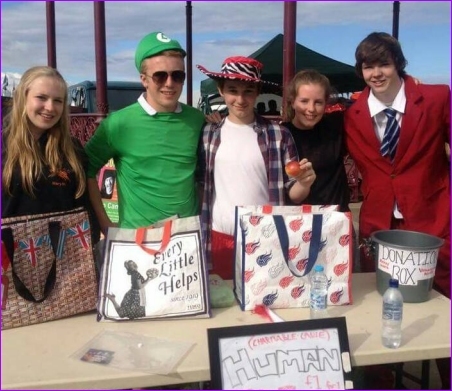 Picture below of them with their “human fruit machine” set up on Games Day. If you can help themin any way please contact through the facebook page.